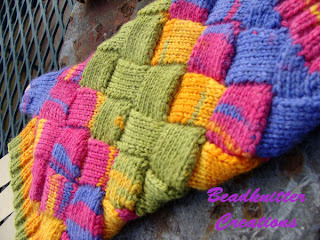 Here you will find free patterns designed and published by The BeadKnitter. Please note, I have moved all the pattern files to Ravelry. You will need to be a member to download them. Membership is free. I have decided to go ahead and put this pattern online even though I'm not quite done with the test knitting yet. I'm just too excited about it. This design was actually inspired by another design for Entrelac fingerless mitts. I have shortened it, written it for knitting on 2 circular needles rather than double points, and improved the instructions so it fits better, taking care of the problems I had with the other pattern. 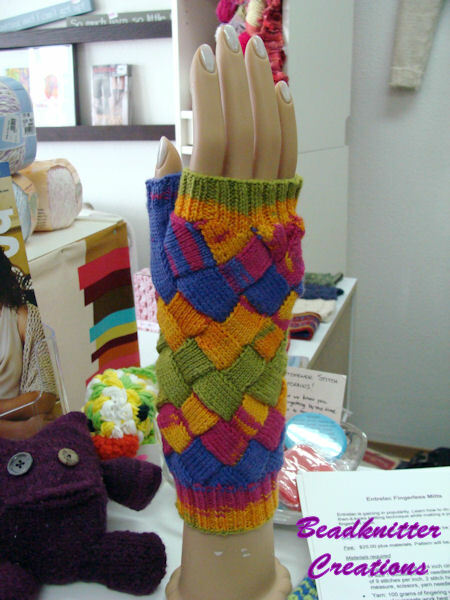 It features 2x2 rib for the cuffs and top with small Entrelac blocks in between. 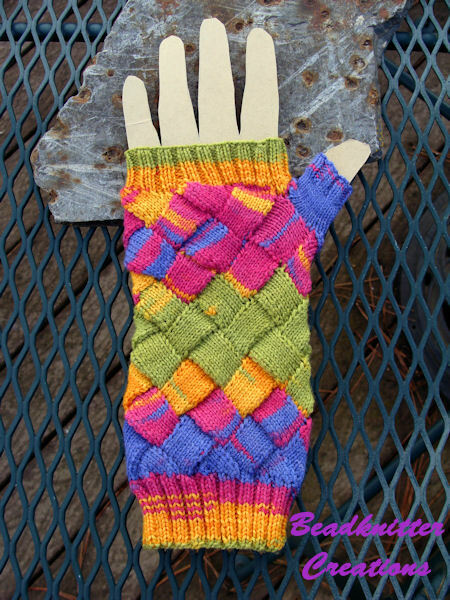 By decreasing and increasing the sizes of the blocks, I have succeeded in shaping the mitt for a better fit. It is written to fit a womans hand with about an 8 inch circumference. Finished length is 9 inches. I do my best to make these patterns accurate, but even still there might be errors. 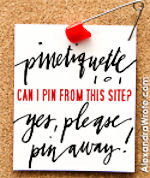 Please let me know if there are by posting a comment here. ETA: 4/26/2011 Errors were found in the pattern. Official version now posted. I've just learned how to entrelac. I'm so excited to have found your pattern because this is exactly what I was looking for to make for myself. I have until next winter...give or take 5-6 months to get them done. 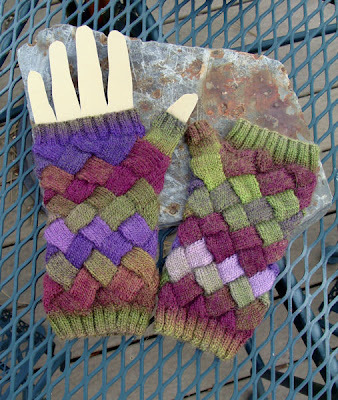 As an admitted entrelac addict (4 scarves, 2 blankets and a felted tote), I am in love with this pattern and can't wait to make them. Thank YOU!!!!!!!! 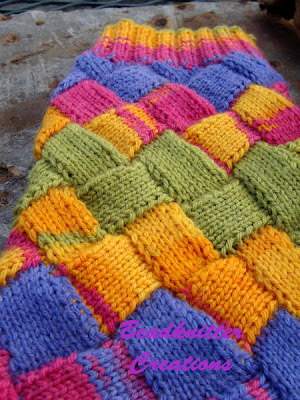 This is one of the most interesting pattern for knitting that I have ever seen! I had never heard of this until today - I am going to give it a try - any suggestions for making these in "kid" size? My neices would love these! The pattern calls for two 24-inch size 1 circular needles. Is that right?? Yes, that is right. It's knit on 2 circular needles. All patterns are copyrighted. They can be used for teaching. Shop owners may give a copy to their customers with a purchase. For permission to use for newsletters, or other publications, contact me. If I catch anyone selling these patterns on Ebay, Etsy, or anywhere else, they are in BIG trouble! This web site protected by Copyscape. Get Adobe Acrobat Reader for Free!